Crude oil was definitely the odd one out yesterday. Having risen to an intraday high of $107.42 early in the morning, US crude oil prices reversed course and nosedived, closing $1.61 down at $104.54. The main culprits were weaker than estimated US jobless claims data combined with a prediction from the International Energy Agency that oil supply will surpass demand. In reaction to a reiteration of the Fed's easy money approach, gold prices came within reaching distance of the $1,300 mark yesterday. By and large, it was a rush into the safe haven trade, with gold closing $18.1 higher at $1,284.6. The US Department of Energy released its weekly stockpiles report indicating a shocking tumble of 9.9 million barrels in oil inventories against expectations for a drop of just 2.9 million barrels. That sent WTI crude prices soaring, gaining $1.60 for the day to $106.14. Bullish comments by some Fed officials, who want to see more jobs before tapering stimulus, were also supportive features. We had seen a rather dull day for gold yesterday, with the price swinging around the $1,250 level, but later on we saw a sharp rally to $1,262.6. Ben Bernanke was 'to blame' for the move, as he was more specific about monetary policy than usual. 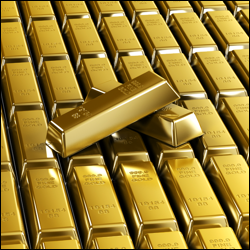 At the time of writing, gold prices are still firmly on the offensive, trading above the $1,283 level. An ongoing rally for US equities trumped everything else in the energy markets yesterday, driving Nymex crude oil prices $1.52 higher to $104.48 per barrel, a fresh 14 month high. In addition, oil inventories are estimated to have dropped to a four month low, with a draw of 2.9 million barrels last week, which further supported the upward trend. There have been some reports of a rebound in demand for physical gold lately, which have understandably put a floor under the metal's price decline. However, yesterday spread betting investors also jumped back into the precious metal on news that Chinese inflation is picking up, thus increasing gold's appeal as a hedge. Having reached 14 month highs, WTI crude prices lost $0.89 to $103 after an Egyptian official said that the Suez Canal remains secure, with ship traffic described as normal. Despite a lower dollar, which is usually a supportive feature, profit taking after the recent strong rally might have added some extra downside pressure. Last quarter's more than 20% decline in gold prices might attract some physical demand, to be used in jewellery, ahead of the Diwali festival in India. That was the widespread speculation which accompanied yesterday's rise of $14.5 to $1,236.5. The gold chart now indicates that after finding support just above $1,200 mark, the precious metal is currently on a consolidation path. WTI crude oil continued to rally for the fifth straight session, spurred by renewed optimism that the US employment sector is firmly on a recovery path. Escalating street protests in Egypt also exacerbated the bullish momentum, with oil prices closing $2.10 higher at $103.18. In addition, over the weekend, concerns of supply disruptions along the Suez Canal hinted at good support for the immediate future. True to its recent terrible form, gold posted another sell off on Friday, dropping $28.2 to $1,221.4. It continues to lose the battle with the dollar and the precious metal cannot match the yields offered by other assets at the moment. Amid reduced volumes due to the Independence Day holiday, US crude oil futures finished rather flat around the $101.10 level yesterday. The political factor played its part in easing previous concerns of oil supplies disruption as the Egypt president was ousted in a relatively non-violent fashion by the army. Ahead of today's US Non-Farm Payrolls data, gold futures retreated $2.6 to $1,249.9 on the continuing strength of the dollar. As widely expected, the trading session was very quiet, but the precious metal did not attract too much demand even though low volumes can make it easier to see price spikes. After breaching into triple digit territory, the price of WTI crude oil continued its rise, gaining $1.48 for the day to $101.04. The turmoil in Egypt triggered concerns that Middle Eastern oil supplies could be derailed and was, by and large, the catalyst for the last few days of gains. In addition, yesterday's US crude inventories, as shown by the EIA, fell by 10.3 million barrels versus forecasts of a 2.25 million draw, which gave prices another boost. Gold futures moved $9.6 higher to $1,252.5 yesterday as the metal's feature as a hedge against troubled times was put to work. On the one hand, we have political tension in Egypt where President Mursi was ousted by military leaders, and on the other hand the Portuguese resignations are a reminder that the global economy still faces considerable risks. With ongoing social unrest in Egypt threatening to disrupt oil supplies, the price of West Texas Intermediate rose by $1.59 to $99.59 a barrel yesterday. At the same time, the rally was supported by speculation that US stockpiles fell last week. This should be confirmed or rebutted later today when the Department of Energy releases its weekly inventories report. In overnight trading, US crude oil has already surpassed the $100 mark. Note that you can spread bet on crude oil 24 hours a day, also see 24 Hour Spread Betting. After an early rally to $1,267, the stronger US dollar was again the main driver in pushing gold prices back down. The precious metal lost $10.6 for the day to close at $1,242.4 as increased physical demand was easily discarded and worries about QE tapering helped keep investors at bay. A rebound in US manufacturing was a boost for WTI crude oil prices which rose by $1.51 to $98.01 a barrel. The energy sector received additional support from rising unrest in Egypt where street protesters seemed in no mood to give up until the incumbent President Mohamed Morsi resigns. With Syria already engulfed in civil war, an escalation in the Middle East region is a clear and present danger. Gold prices continued to recover for the second straight session on reports of renewed strength in physical demand, especially in Asia. The precious metal gained $19.2 to $1,253 and may also be seeing some short covering ahead of the 4 July holiday in the US. We saw a late retracement in crude oil after Federal Reserve Governor Jeremy Stein commented on monetary policy and encouraged a stronger US dollar. Consequently, crude gave back its initial gains and finished $0.34 in the red at $96.46. Going forward, oil prices are likely to be caught in the middle between a rebounding economy, which is bullish, and a higher dollar, which is bearish. Long overdue, gold prices recovered $32.5 to $1,233.2 despite a higher dollar which usually adds downside pressure. There were reports of increased demand for jewellery, coins and bars, however, bargain hunting after the biggest quarterly loss since the 1920's may have also convinced a few CFD traders to buy back in.